Chapter III — The Roller Coaster Years, 1923-1946. I would appreciate it if you would share this with others who have an interest in the subject, particularly with anyone who has any knowledge of the period covered in the first three chapters covering the period 1827 to 1946, not necessarily just about transportation. Many other societal changes have had a profound effect on how we move around in urban America. The Editorial Board of Civil Beat has today endorsed the idea of reconsidering the rail route to end at Middle Street in light of the current negative impact of Uber and Lyft on TheBus ridership and its portent of the effects of what autonomous vehicles are going to have on public transportation generally. The Wall Street Journal today features O'Toole's "It’s the Last Stop on the Light-Rail Gravy Train; Mayors want new lines that won’t be ready for a decade. Commuters will be in driverless cars by then." He gives details of the $100 billion shortfall in rail maintenance funds nationwide and links to the Department of Transportation site that discusses the shortfall city by city. This is a most interesting short article that is well worth your time reading it. In this blockbuster analysis, The Coming Transit Apocolypse, CATO Senior Fellow, Randall O'Toole, discusses the present state of the nation's public transportation and shows irrefutably that in the light of current trends and the future effects of autonomous cars and buses that public transportation is not sustainable and might collapse as early as 2030. This is very carefully documented analysis that does not analyse Honolulu's situation, but we will provide that shortly. Three months ago I released the Introduction and the first chapter of Getting Around: a history of how we move around in American cites. Chapter I is,"The Growth of Public Transportation, 1827-1923," Chapter II is, "The Automotive Revolution to 1923," and it is now ready. Further chapters will be released from time to time when finished. Chapter III will be "The Roller Coaster Years, 1923-1946. I would appreciate it if you would share this with others who have an interest in the subject, particularly with anyone who has any knowledge of the period covered in the first two chapters covering the period 1827 to 1923, not necessarily just about public transportation. "An increase of one percent in family income will typically reduce the family's use of rail passenger service by 0.6 percent. Thus, rail passenger trains provide an inferior service with respect to income, analogous to potatoes, farinaceous foods, and other inferior goods, consumption of which decreases with increments in income." Hilton, George W. Rail Transit and the Pattern of Modern Cities: The California Case. Traffic Quarterly. July 1967. p. 388. Today's column in the Star Advertiser by David Shapiro is well thought advice for the legislature on why they must wait for the results of the HART audit before approving any future funding for rail. Read it here. Honolulu's City Auditor Edwin Young is a recipient of the national Association of Government Accountants' Distinguished Local Government Leadership Award so it is with some trepidation that I comment on his reported remarks in this morning's Star Advertiser. Mr. Young says that if Mr. Grabauskas were still in office he would call for a forensic audit. That begs the question, why did Mr. Young not call for such an audit when Mr. Grabauskas was in office? Has Mr. Young discovered something subsequent to the audit he performed that changed his mind? Second, if there "red flags" as Mr. Young avers, then others at HART must have been involved in the "red flags," so why is a forensic audit still not essential? "...several major transit agencies lost 25 to 35 percent of their riders between 2009 and 2016, and most of these continued to lose in 2017. Moreover, none of the factors that led to these declines–low fuel prices, high auto ownership rates, rising costs, increasing competition from ride-hailing services–are going away, and some are only going to get worse. Since 1970s, the transit industry has received well over a trillion dollars in subsidies while seeing a 20 percent drop in the average number of rides urban resident take each year. All this should lead Congress and state legislatures to question why taxpayers ought to continue subsidizing this fast declining industry. " When the Star Advertiser editorial board is critical of the Honolulu rail project, no matter how mildly, it is what may be reasonably termed, an earth shattering event. So when they call for HART to rethink their cancellation of the forensic audit that had been championed by HART Board Member John Henry Felix, we believe you can be assured that the audit will be reinstated. Here's the editorial. Given the release of the John Henry Felix letter (see below) and the discovery of the whistle-blowing letter of former HART employee, Bart Desai, to then HART Chair Coleen Hanabusa, this should make for an interesting meeting. Cliff and Bobbie Slater will both be there and would welcome company to either testify or just be there. The meeting will be in Kapolei Hale, Conference Room B, 1000 Uluohia St, at 9:00AM. Two days ago respected civic and business leader John Henry Felix sent a detailed three-page letter to his fellow HART Directors that is utterly scathing of every aspect of the HART rail project from its original design, the projections, the construction and its funding. It is such a powerful letter that it must be read in the original. I would appreciate it if you would share this, particularly with anyone who has knowledge of the period covered in the first chapter, 1827 to 1923, not necessarily just about public transportation. In the latest issue of Hawaii Free Press,they write, "We are reprinting excerpts from an April 23 letter to Honolulu Councilmember Ann Kobayashi from Honolulu Attorney John C. McLaren who wrote “on behalf of former Governor Ben Cayetano and other unidentified people” according to the May 6 Advertiser. "The most egregious an example is InfraConsult, LLC (“InfraConsult”) (formed by three former Parsons Brinckerhoff employees) that was awarded a contract for Project Management Support Services for the Honolulu High Capacity Corridor Project in the amount of $36,727,162.00 from a Short List listing only InfraConsult and no other persons. "unless InfraConsult knew well in advance of November 19, 2009 that it was assured of receiving this award, and it had also completed virtually all of these steps before the award was announced." Further details at Hawaii Free Press at this location. Marjorie Morgan, a retired City employee, has written a piece about the what the rail will mean to you and your family if you intend to make it family-centered. Useful to give to pro-rail people who think they are going to use it. Well worth the read. Hinomaur Kotsu Company of Tokyo is planning a venture with Japan's robotics company ZMP Inc. to have fully automated taxi service in place for the 2020 Olympics. The full story is here. His column is titled, "Rail-oriented development wreck can still be prevented." He writes, "It’s little surprise now that a project budgeted at $5.2 billion has ballooned to $10 billion and growing. You get the same sinking feeling today that something is seriously amiss with rail’s conjugal partner — transit-oriented development. He goes on to discuss the how the TOD (aka Transit Operated for Developers) legislation has been misused by developers. It is worth the read. We were. So, we asked HART what the status was. Their reply: "It would be correct to say that the Board of Directors of the Honolulu Authority for Rapid Transportation adopted a budget that includes $250,000 for special audit services should the Board determine other audit services be needed for a scope of work to be determined. This budget is for the fiscal year that begins July 1, 2017. As such, the answer to your second question would be no, the audit has not been cancelled." Ember Shinn, HART Board Member: "And my last question has to do with the $250,000 for the special audit. And it’s less of a question and more of a comment about that. I understand that the board put this in the budget in November when it approved the budget, and I would just ask that before that money is spent, assuming it’s not going to be spent for the mandatory audits that you have to do, you know, your regular financial audits, but whatever the special audit, whether it’s a forensic or something else, that the board has an opportunity to discuss, debate and determine whether or not it’s a wise use of funds, given the fact that when the board put this in the budget in November, we did not have the APTA (American Public Transportation Association) peer review, and I thought we weren’t getting the regular reports from PMOC Jacobs (Project Management Oversight Contractor)." "And so, as a new member of the board, it’s not my intent to muck around in the past, and try to figure out what we did wrong in the past, it’s more trying to get forward, and trying to make sure that we’re spending appropriately, and we’re cost -- doing very cost conscience decisions, and we’re monitoring everything going forward. And what I like about the APTA peer review as well as the PMOC reports, is that it primarily talks about management and process, as opposed to saying, ‘We made a screwy stupid decision back then.’ And I think going forward, that’s what I would like to do, unless there’s some critical issue where we suspect there’s like fraud or embezzlement or something like that, that really does need that type of an audit. As I said, I’d rather not spend the money and use it in another way that would be moving the process forward." Wes Frysztacki, HART Board Member: "I can’t resist, I need to jump in again. I would like to see your comment number two, or your question number two linked with your question number four, because part of my difficulty is I have no budget whatsoever to look at what needs to be done to make the transition to comply with charter amendment number four. So rather than them spending the $250,000 in looking at the past, and then wondering what we do about it -- maybe we’ve already fixed the things that would be uncovered -- and I think we have actually -- I would like to ask the board to think about doing the things that you said, let’s sit back and kinda look at this budget item. Given what the council said, I think we have discretion to change that and use it for something positive. So I will make that request at the right time. I don’t know whether -- is this the right time right now to perhaps make that request?" Krishniah N. Murthy, Interim Exec. Dir. & CEO, HART: "Can I request the chair? Please give us an opportunity, to, since we are in the process of doing some restructuring of the organization to fit into the upcoming projects that we have to handle and the financial issues that we need to deal with, so I think we may need some assistance from outside. The specialty type of individuals or firms to do some type of audit type of work for each group that we have within HART. So I would like to come up with a proposal to the board to consider using part of that $250,000 to do those things. Summary: It is fairly obvious that these folks don't want to be looking under any damp rocks in case they find evidence of a level of incompetence that might lead the public to believe that the $10 billion would not be enough to finish rail and might cost the $13 billion, or more, that Dr. Prevedouros believes is the likely outcome. Note that DTS Head Wes Frysztacki said, "I think we have discretion to change that and use it for something positive." Which is to say, nothing negative here folks, move along there's nothing to see. Frysztacki, as head of DTS, would be the rail line's operator and has a vested interest to see that this line gets built no matter what it costs. Considering that there are $billions at stake, a $250,000 forensic audit is pocket change. The whole purpose of an audit, such as this, is to correct the mistakes that people have been making to get $5 billion in the hole so that you don't keep making the same mistakes and get another $5 billion in the hole. You can read the HART response and the transcript here. This video reminds us all of the delusional views of the political establishment about the projected rail transit project where, in their view, the costs were way overstated so we did not have to worry about cost overruns and, after all, this was all about a Quality of Life issue. “Convergence of three trends, ride sharing, autonomous driving, and vehicle electrification, will offer big-city dwellers cheap, convenient transportation, transforming the automotive industry,” says BCG. Note that BCG is warning cities that this disruption is nearly upon us. It will make much of public transit obsolete. Labor costs for both maintenance and drivers of public transit are presently 70 percent of total costs. Under the BCG scenario drivers will disappear and electric vehicles will have half the maintenance costs of regular vehicles. Their place will be taken by SAEVs. At a recent City Council hearing on taxes for rail, Professor Roth had a set to with Councilmember Ikaika Anderson over the issue of whether taxpayers should pay for rail with property taxes or GE Taxes. Professor Roth was making the point that if either tax raised the same amount of money then taxpayers were paying the same amount. Anderson was not having it. Either he did not understand how the GE Tax works, or he pretended not to. It was an interesting encounter available here. You read it right,disbenefit. There are no benefits whatsoever to building the rail project. With all the changes that have occurred in the last four years since our last update our handout was due for an update. The handout is two pages designed to be printed back and front, for a single page handout. It covers all the major topics such as understated costs, overstated ridership, why it would be an environmental disaster, why it will use far more energy than cars, let alone buses, and summarizes the "dumb or dumber" argument about stopping the rail project. We suggest you download it, print it both sides and use it on your pro-rail friends and elected officials. Download here. Hawaii News Now's Rick Daysog covered yesterday's HART Board Meeting where Randy Roth and Cliff Slater argued for more transparency in HART's public outreach efforts. You can see elements of it live on HNN and Rick Daysog's reportage. Read below for some of the material Roth and Slater tried to cover by during the hearing but were prevented from doing so by Wes Frystacki, who is both the head of the Department of Transportation Services and one of the preparers of the rail project's Final EIS. First is that rail only promises the miniscule advantage of reducing auto traffic by 1.7 percent; it will not be noticeable. That 1.7 percent will happen only if they have the rail ridership, and there is no chance of that. Half the ridership will reduce the traffic improvement to less than one percent. It will use more energy per passenger mile than we do now, whether by automobile or bus. It will have a bad effect on road traffic due to the supporting columns taking up road space. Think for a moment of eight-foot diameter pillars (the width of a city bus) along Halekauwila Street. Go to our handout for a little more detail and if you really want to get into the weeds, try our tabs to the left. When you get down to working out all the options open to us to remedy the current rail situation it all comes down to the “Dumb and dumber” solution, which Randy Roth and I wrote about in Civil Beat recently. It is really a dumb idea to just stop rail where it is. On the other hand, it is even dumber to spend another $9 billion to get it to Ala Moana Center (it doesn’t even open until the rush hour has passed). All to get a less than one percent decrease in traffic, which is worsening one percent a year due to population growth. Dumb or dumber — take your choice. The City Council vote last week for the issuing of bonds for rail construction was 6-3 against us. In early 1992 we also lost a City Council vote on rail by that amount. But, by having large numbers of constituents contact their Councilmembers, we wore down our opposition and gained two more votes. We beat rail on September 22 of that year with a 5-4 vote in our favor. It was a success we can repeat. The City Council can still stop rail; only two more Council members need to change their votes. They need to know that their constituents are opposed to the Council raising taxes or borrowing any more money for rail. Go to www.honolulutraffic.com, learn more about the current rail situation and find out what you can do about it. Generations now and yet to come will thank you for this effort. Portions of Ewa Villages and Ewa Beach, Kapolei, Makakilo, Kalaeloa, Honokai Hale, Ko Olina, Nanakuli, Ma'ili, Wai'anae, Makaha, Kea'au, Makua. Mililani Mauka, Wahiawa, Mokuleia, Waialua, Haleiwa, Pupukea, Sunset Beach, Kahuku, Laie, Hauula, Punaluu, Kahana, Kaaawa, Kualoa, Waiahole, and Kahaluu. Ahuimanu, Heeia, Haiku, Kaneohe, Maunawili, Kailua, Olomana, Enchanted Lake, and Waimanalo. Hawaii Kai, Kuliouou, Niu Valley, Aina Haina, Wailupe, Waialae-Iki, Kalani Valley, Kahala, Wilhemina Rise, Kaimuki, portions of Kapahulu, Diamond Head, Black Point, Waikiki, and Ala Moana Beach Park. Kaimuki, Palolo Valley, St. Louis Heights, Manoa, Moiliili, McCully, and portions of Ala Moana, Kakaako, and Makiki. Kalihi, lwilei, Kalihi Kai, Mapunapuna, Salt Lake, Aliamanu, Hickam, Foster Village, Ford Island, and Sand Island. Lower Aiea, Pearlridge, Waimalu, Newtown, Pearl City, Seaview, Crestview, Waipio Gentry and Waipahu. Waikele, Village Park, Royal Kunia, Mililani Town, West Loch, Iroquois Point, and portions of Ewa Villages and Ewa Beach. This late posting is of an article by Cliff Slater and Randy Roth that ran in Civil Beat in February this year. It makes the case that there is no way that City can make its ridership projections. First, you have to know that the average shortfall on rail transit ridership projections is 40 percent according to the FTA's own studies. Second, we show that the City would have to cut their projections in half to bring it anywhere near that of other rail cities. The article makes it all clear together with sources of information. Ask us if you have any doubts about it. 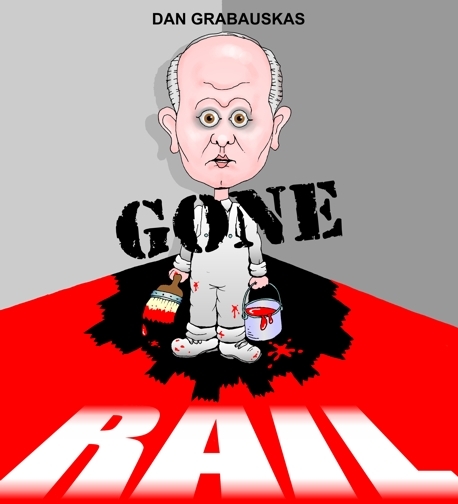 Today's Civil Beat carries an op/ed by Randy Roth and Cliff Slater wherein they make the case that there is one thing dumber than stopping the rail project dead in its tracks and that is to try to finish it. READ IT HERE. Their headline is "Cayetano asks Trump to ax Honolulu rail funds." Their headline is "To Donald from Ben don't fund Honolulu's train"
New Geography is a great website specializing in urban form and transportation issues. Their headline is "Cayetano To Trump: Cut Honolulu Rail Funds"
You can see Malia Zimmerman's hand here on Fox News. The full-page ad was published in this morning's Washington Post and is already creating a buzz both locally and in Washington. Read the ad here. The Mayor has told us that will take a total of $6.8 billion just to get to Middle Street and $9.5 to get to Ala Moana Center. The difference of $2.7 billion we are told will build the last five miles of the 20-mile line. The cost of the maintenance depot in the first 15 miles is roughly offset by the cost of the more stations per mile in the last five miles. That works out to be 28.4 percent of the money to build the last 25 percent of the line. Bear in mind that this section is along crowded Dillingham Boulevard with major electrical utility problems, then Nimitz Highway, which is mostly fill land where each supporting pillar has to be itself supported by 3 to 5 others, and along Halekauwila Street, which is Ground Zero for 'iwi, the native Hawaiian burial sites. You may also remember that this project started with a rock solid $5.3 billion projection cost. That has already been increased to $9.5 billion and we have not even got to the halfway point. You may also remember that we never predicted that the City would experience any cost overruns before they reached Dillingham Boulevard, the start of the Rail Quagmire, because doing the easy stuff first was why they were starting to build rail out in open fields. You do not have to be a construction engineer to know that this last section is going to be far more costly than building in the empty fields at Ho'opili. So when Dr. Prevedouros tells us that we should be prepared for total construction costs of $12-$13 billion, you had better believe him. The late Honolulu City Council Chair Barbara Marshall must roll over in her grave when she hears the man she mentored, and who took over her council seat, Councilmember Ikaika Anderson, mouth off in today's Star Advertiser that, "We regret the situation in which we and our state colleagues find ourselves,” and then tells us we must finish it. “I opposed the bill because I care about the people of the Leeward coast and Central Oahu,” she insists. “The proposed system isn’t going to give them any relief - not in the next 10 years or in the next 20 years. Even the mayor admits that it won’t ease congestion.” “But there are a myriad of things that we could do tomorrow that would ease congestion." "Extend the zipper lane. Change the university’s hours at Manoa so that student traffic is not part of the rush hour crunch. Limit one lane of H-1 to buses only. Achieve greater traffic signal optimization. Build the university campus at West Oahu and support the development of businesses at Kapolei so that people who live out there can work out there. Stagger the work hours of city and state employees." Barbara Marshall died on February 22, 2009, aged 64, after an eight-month battle with colon cancer. Marshall's husband, Cliff Ziems, endorsed her aide, Ikaika Anderson, to fill her city council seat; he was elected in a special election and was sworn into office on May 27, 2009. He has been voting for rail ever since. Where are his constituents? Civil Beat published this article today, which deals with why the Honolulu rail project will be totally obsolete not more than 15 years after they launch. Then we poor taxpayers have to come up with the funds to tear it down. It would be hilarious if it didn't costs so much, ruin the town's environment, and create traffic congestion when it get into town that you won't believe. Read the story here. Then if have any questions write to us at info@honolulutraffic.com. The before and after view of the Honolulu waterfront, courtesy of the Hawaii Chapter of the American Institute of Architects, says about all there is to say about the rail's impact on the environment. Of course, you have to add the noise factor and the impact on traffic congestion of the 8' diameter pillars (the width of a city bus) stuck in the middle of Nimitz Highway. The Wall Street Journal editorial board lists all the cost overruns and problems and then urges our new Transportation Secretary to yank the federal funding. They ask, "Why should national taxpayers pay for a boondoggle that California’s liberal legislators won’t?" Here's the link to WSJ today. It's a good editorial but why did they leave us out? Following is a link to a ThinkTech presentation of Randy Roth speaking on the rail situation. It would be most helpful if you would send it to all your friends and post it on your Facebook page. In this full-page advertisement titled "Will the rail be safe to travel on?" in the Star Advertiser yesterday, Dennis Mitsunaga spells out his qualifications to discuss the structural defects of the rail project and then does so in 1,600 words. You will find it most interesting. In the interest of making the piece more reader-friendly, we have taken the liberty of removing much of the capitalization and underlining. The new CEO of HART, Mr. Krishniah Murthy, appears to be better qualified than anyone who has held that position before. Of course, that is not saying very much. The problem as we see it is that Mr. Murthy is a 34 year veteran of Parsons Brinckerhoff, a fact which seems to have escaped Hawaii's major media. PB is the outfit that helped Mayor Hannemann get us into the difficulties we are experiencing today. Mr. Murthy worked for PB during Honolulu rail's formative period, 2004-2007. No one seems to have asked what involvement, if any, he had with the Honolulu project. What involvement did he have, if any, with the Boston project? In addition, we have never been told what led to the replacement of PB by the less experienced company, CH2MHill. This was a billion dollar contract originally awarded to PB and yet they lost it with nary a whimper. Very strange. As the French say, the more it changes, the more it is the same thing. o	How much more money would local taxpayers have to pay to construct and maintain a safe and reliable rail system? o	What would be the benefit of having such a system? David Shapiro writes a snippet on rail in his column this week, "Contractors who worked on Oahu rail say the project could end up costing more than $10 billion and take 15 more years to complete to Ala Moana. By the time it’s done, the last leg will be an Atlantis Submarine Adventure." We wonder how many at the Star Advertiser feel the same way. Andrew Walden has written an excellent piece in today's Hawaii Free Press detailing how $540 million in Hawaii's Federal Highway funds could be made available to bail out the rail project. Dr. Prevedouros concurred with that commenting, "The article is accurate. HDOT [Hawaii Department of Transportation] does not want to divert funds for rail but if Governor Ige agrees with Mayor Caldwell and asks, then highway funds can be programmed to assist with rail's road work." Our view is that in one of the most lane-deficient states in the nation the last thing we should be doing is diverting funds from highways to rail. This is another interesting messmanagement story about rail for what it says about the construction labor market and what it says about construction cost forecasting for both HART and Kiewit. HART says they can build to Middle Street for $6.22 billion while the Mayor implies that it might be a stretch to get to Middle Street for the $6.8 billion in available funding. HART’s total projected cost to get to Ala Moana Center is $8.1 million. In either case, they are not allowing enough for the final five-mile segment to Ala Moana. If the Mayor is right and it takes $6.8 billion to get to Middle Street that leaves only $1.3 billion to finish it. 1. It has eight stations, 38 percent of the 21 stations. 2. It has the costly separation of electrical utilities from the rail line, which they have not yet even projected the costs, let alone actually dealt with the reality of it. 3. It will have to deal with a mile and a half of fill land in those places formerly makai of the old waterfront. 4. It will face heavy concentrations of ‘iwi once it gets into Halekauwila Street. 5. They have to cope with tight urban spaces and they have not had to contend with that so far. Given all the problems in the final segment it is more likely the final 25 percent of the rail line length to Ala Moana Center will be 35 to 40 percent of the total costs. In that case the total costs would around $11 billion. Our long-time followers will remember that we never forecast any cost overruns before rail got to Dillingham Boulevard but once we started down Dillingham we thought the costs would morph out of sight; it would be a cost quicksand. It is obvious to everyone but HART that this puppy will go a lot further north than $8.1 billion. We like the Feds “upper bound” of $10.9. Panos Prevedouros would like to add another billion to that. The California High Speed Rail Project (CHSRP) the controversial high-speed rail system that is supposed to connect California's two largest cities, Los Angeles and San Francisco, via trains running 220 miles an hour is vying for the dubious honor of being the worst rail project in the nation. We thought we had it in the bag but no more. This Weekly Standard article tells in great detail how this project is affecting the residents who live along the route. There are great similarities, cost overruns, enormous cost and an out of control semi-autonomous agency running things. What is the ½ percent rail tax costing you each year? Here's one way for you to know. It is to calculate what it would take in property taxes to fund rail for every year that the ½ GE tax surcharge would be in place. Last year the rail tax collected $259 million, while total property tax collections were $894 million. If we were to substitute property tax for the ½ percent GE tax, we would need to collect the $894 billion plus the $259 million, or $1,153 million, which would require a 29 percent increase in the property tax you are now paying for the foreseeable future. Now calculate what a 29 percent increase in your property taxes would be. If your property taxes are now $2,500 annually, you would face a $725 increase. It gives you some idea of the hidden effects are in the insidious General Excise tax and what it is really costing you. This is why the politicians avoid hiking property taxes and settle for the deceptive G.E. Tax. By the way, tourists indirectly pay a considerable part of the property taxes in the hotel costs they pay; it is most probably the same 17 percent of property taxes that they pay in GE taxes. And all that is just for construction. Once rail begins operating you can add another $100 million annually. "So after 10 years of deceit, mismanagement and failure, little has changed; Honolulu rail is being built on politics and melodrama instead of sound engineering and honest accounting. "Cries to stay the course at any price carry a steep cost for the community. We were remiss in not posting this on May 19 when the Star Advertiser published it. Download it here. We are sorry to see him go. He was a breath of fresh air compared with his predecessors; he lied far less. One of the definitions of lie as defined by the Free Dictionary is "something meant to deceive." The fact that HART often uses the slogan that rail will take 40,000 cars off he road is a deception meant to convince people that rail will have a major effect on traffic congestion. In fact, as you can see from the table below the 40,000 reduction is in the face of a 500,000 increase in car trips because of population growth. The 40,000 is only 1.4% of the total projected car trips; they will not be even noticed. 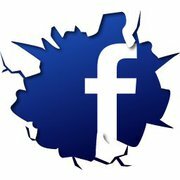 The function our website is to be useful to researchers rather than be part of social media. We have over 100GB of material that includes 40GB of FTA internal emails obtained as part of our lawsuit against the City and County of Honolulu. We have nearly all the legal documents relating to the lawsuit under the "Federal Courts" courts tab. All the state and federal guiding statutes and regulations are under "Process Docs" together with all the documents relating to the EIS process from start to finish. At the foot of the column to the left is an archive of all the entries in this site since November 2004. The single red tab is a media record of the principal media stories 2003-2013. One of the best ways to use the site is to perform a key word search in the search window combined with the adjacent radio button, "Honolulutraffic.com". You might be surprised at what results from such a search. The question we have to ask ourselves is this: A majority of voters supported a $5.3 rail line in 2008. Now a majority oppose what looks like to be a $10 billion project. It appears that we could close out the project now for about a $3.5 billion loss. So the question is this, if you knew back then what you know now, a majority of us would have opposed the $5.3 billion rail project, so why on earth should be support spending $6.5 billion more to finish it. Read the story in full here. 1. Against all odds and at a time of record federal deficits and a slumping local economy, the City and HART somehow managed to extract and divert more than $5 billion in local funds (the upper range of which is still a mystery) and garner FTA support for $1.55 billion in federal funds – all to build an elevated heavy rail system that was out-of-date before construction even began (Antiquated Rail System)! That's how it starts and to read the whole detailed two pages of the City's "incredible feats" read the pdf file.